We all have seen wind chimes and taken pleasure from their tuneful sounds, but a very few of us actually have them at our places. Well! This is the time when you should consider buying a wind chime. 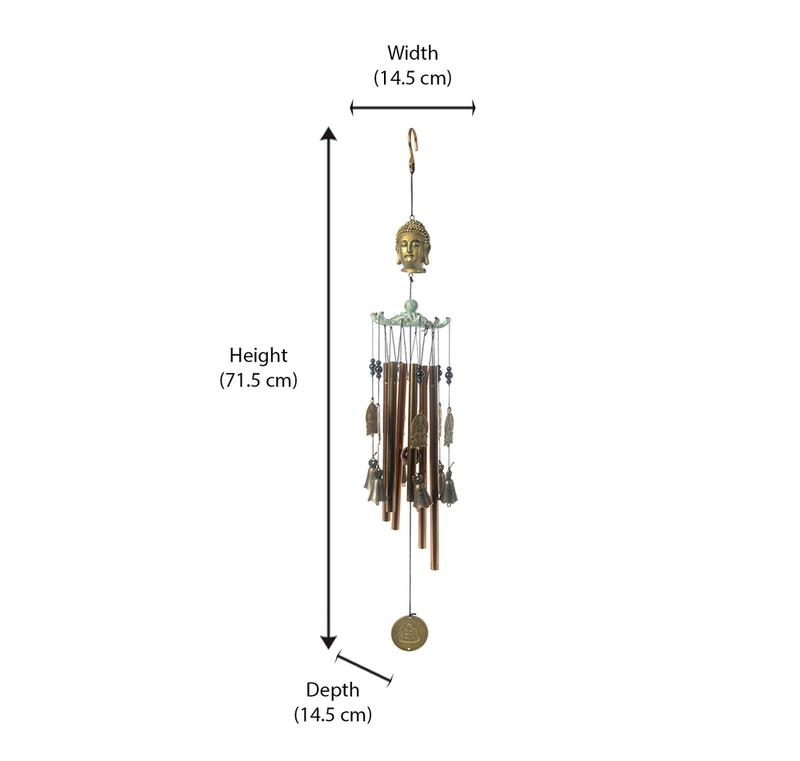 This wind chime does the job pretty much similar to any other; the only distinctive feature of this wind chime is that it adds spiritual aspect to the environment of your home. The imitation of Buddha’s face on this hanging wind chime brings a smile on the face of your visitors, and keeps the environment of your home convivial. To bring only happiness in, accompanied by some soothing melodies, buy this Buddha face hanging wind chime from @Home.